57% of children at E. Linden Elementary School are living below the poverty guideline. 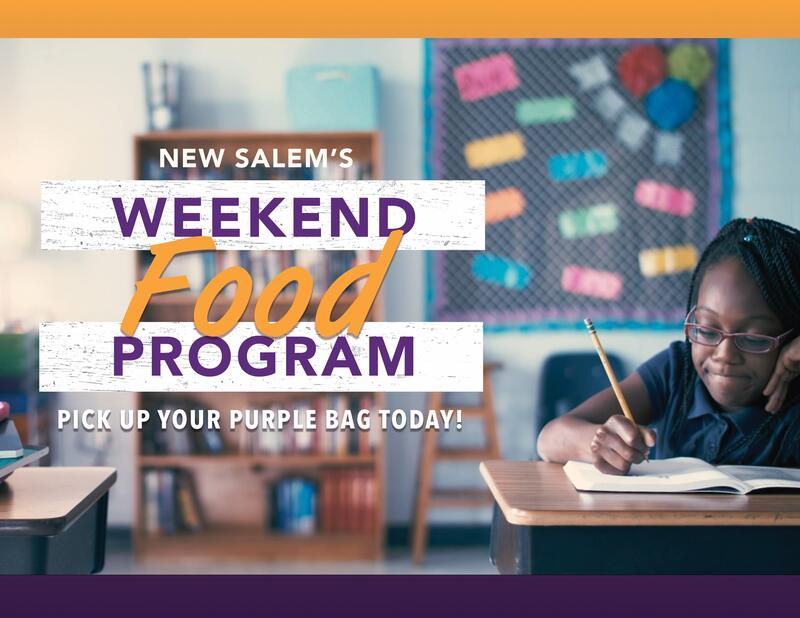 The New Salem Weekend Food Program provides supplementary meals to children at East Linden Elementary School every weekend. This program needs your help with providing food for the meals and we need volunteers to package the meals. Please pick up a purple bag from the Missions Table today!